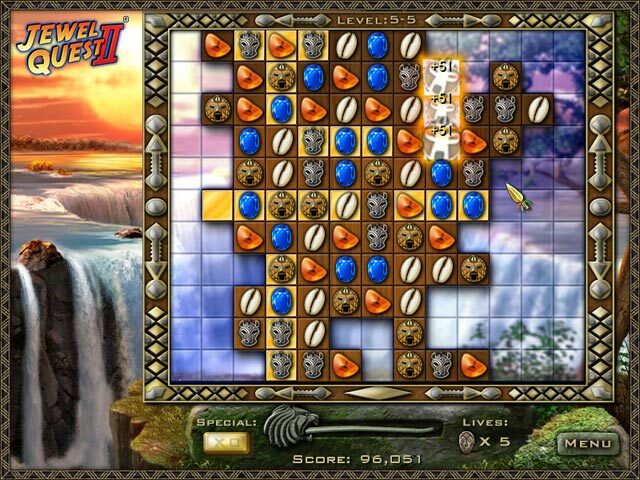 Turn the tiles gold to win in these ever increasingly challenging puzzles. 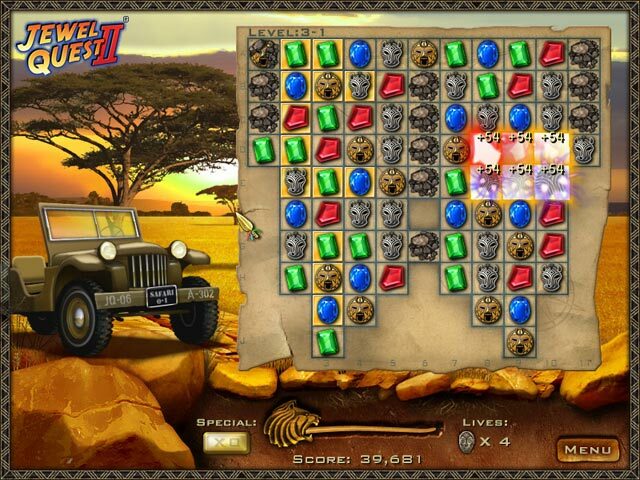 This game takes place in Africa and offers new thrills and twists that are sure to keep players on their toes! 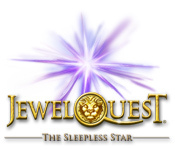 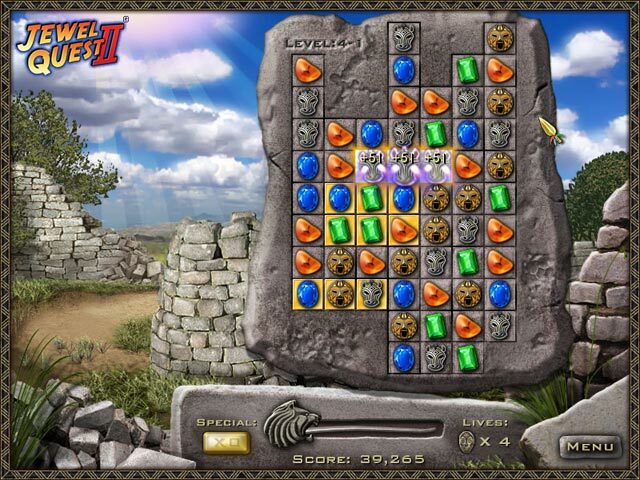 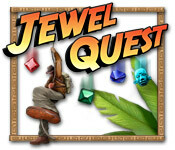 New discoveries await every turn in this version of Jewel Quest II.